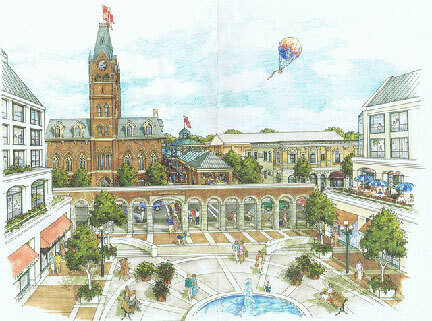 As part of the Belleville City Hall, a traditional market centre in Ontario, Market Square was conceived as a privately financed urban revitalization project. Located at both east and west areas of Belleville City Hall, the project involved office spaces above shops, a farmer’s market and public parking related to Belleville City Hall. 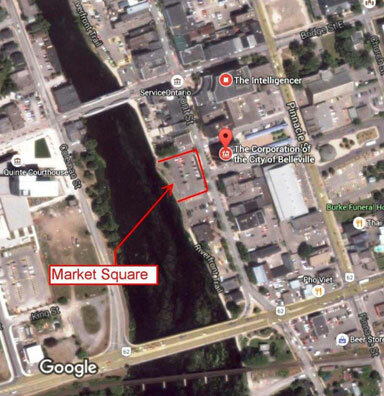 The project straddles Front Street, the main commercial street in Belleville, and backs onto the Moira River.